Cosmetic Dermatology / Pocono Medical Care, Milford PA, is pleased to announce the addition of a remarkable new technology known as Vasculight™ to their aesthetic skin treatment services. The Vasculight system offers the physician both Intense Pulsed Light (IPL), and laser energy for non-invasive treatment of superficial and deeper leg veins. Vasculight also allows physicians to perform IPL Photorejuvenation, a non-ablative skin rejuvenation treatment with “no down time”. 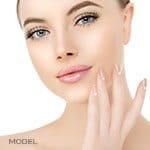 Studies have shown that photorejuvenation stimulates new collagen growth and results in skin that is less pigmented, less wrinkled and has smaller pores In addition the Vasculight system allows physicians to perform unwanted hair removal with fast, easy treatment of large or small areas. 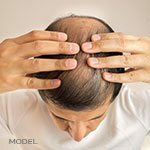 This system has been proven to provide long lasting hair reduction. The addition of Vasculight™ technology enables Cosmetic Dermatology/ Pocono Medical Care to provide comprehensive treatment of both vascular and pigmented areas of skin as well as high-speed unwanted hair removal or tattoo removal in a warm, modern, attractive medical office by qualified doctors and all with no down time. You may receive free information about Vasculight by calling Cosmetic Dermatology/ Pocono Medical Care at (570) 296-4000 and by visiting www.milfordmd.com. MilfordMD Cosmetic Dermatology Surgery & Laser Center (Milford, PA) is the medical practice of Richard Buckley, MD and Marina Buckley, MD. Since 1987, the skilled physicians and health care professionals of Pocono Medical Care have delivered a wide range of high quality medical care and services including diagnosis and treatment of skin conditions and growths such as moles, cancers and rosacea, cosmetic treatments including laser, microdermabrasion, collagen and Botox injections, fat transfer, scar reduction. Pocono Medical Care also offers internal medicine services and a wide range of on-site diagnostic capabilities including cardiac stress testing, sigmoidoscopy and cancer screening.